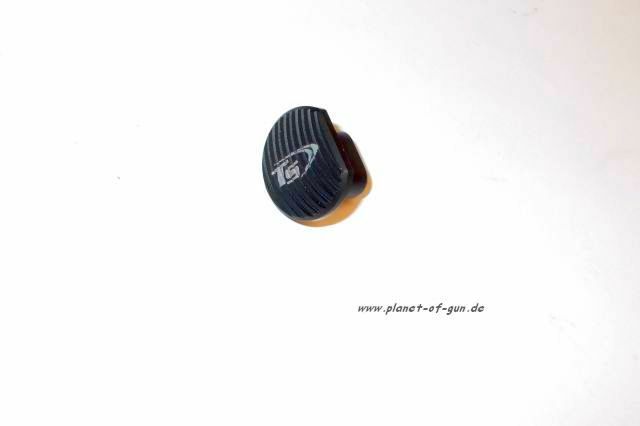 The concave V-Groove button face offers excellent ergonomic feel and self-centers the index finger as pressure is applied. The horizontal, parallel serrations helps slippage in the vertical orientation while minimizing drag in the horizontal direction for finger retraction. The BAD-EMR also features a lightweight skeletonize back to offset the weight gained from the fully solid button face and slightly increased height to equal the weight of the standard mil-spec magazine release (approxmiately 0.002 lbs). 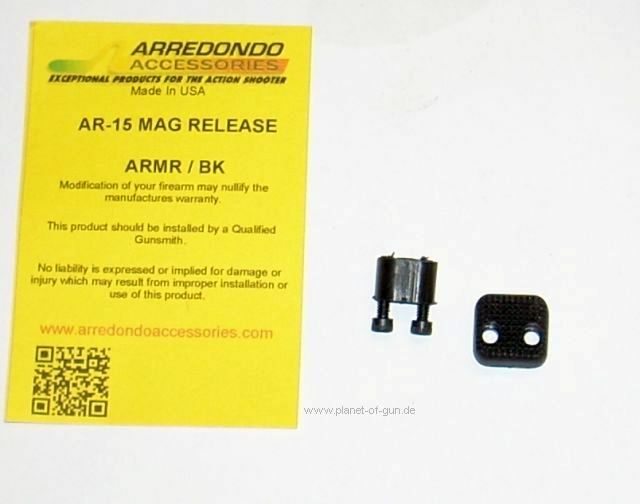 BAD-EMR is compatible with all lower receivers that accepts mil-spec magazine release buttons. Precision CNC Machined for billet 7075-T6 Aluminum in an anodized black, clear, or red finish, the BAD-EMMR features an unique, patent pending three sided dovetail finger pad attachment mechanism that allows for maximum strength, an almost uninterrupted finger pad face for maximum design aesthetics, light weight and low profile design. The interchangeable finger pads offers excellent ergonomic feel and ease of operation without shifting grip position. If you are looking for maximum flexibility, robust design and unparalleled design aesthetics, the BAD-EMMR is the ultimate extended magazine release for you. Ist auch in silbern oder rot lieferbar! 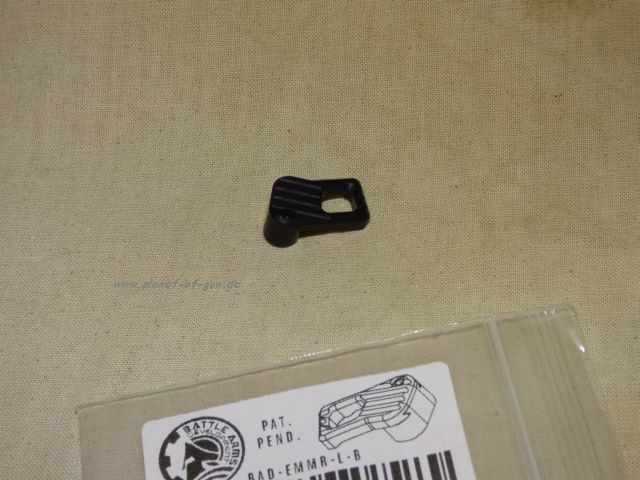 Extended, drop-in replacement for factory part offers a wide, flat finger pad for fast, can t miss magazine changes. 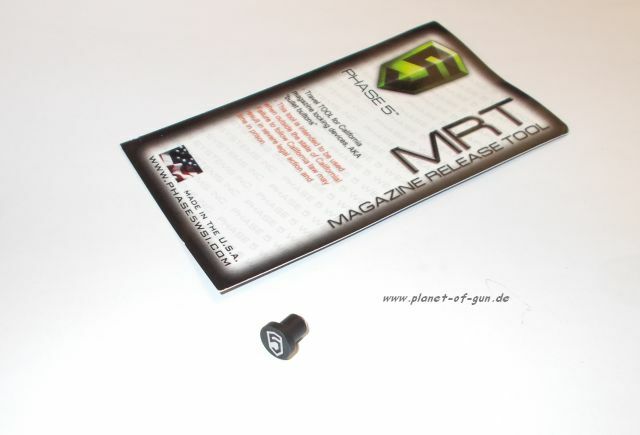 Perfect for competition, tactical operations, and self-defense any high-stress situation where the speed of a magazine change makes the difference between success and failure. 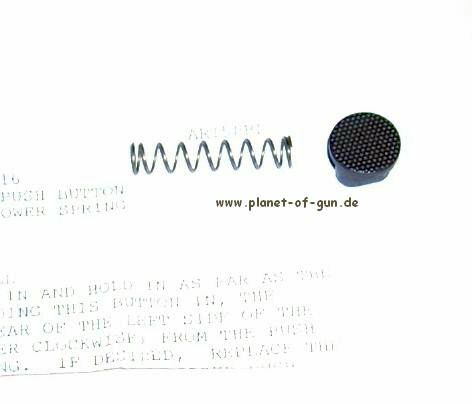 Nearly three times the surface area of the factory button with crisp, 24 lpi checkering for positive, nonslip finger contact, so you release the mag on the very first try. Stands .225" higher to give you extra leverage that ensures the mag catch disengages completely. Precision machined from 4140 steel and heat treated for added hardness and wear resistance, with a tough, black oxide finish. May require minor fitting. 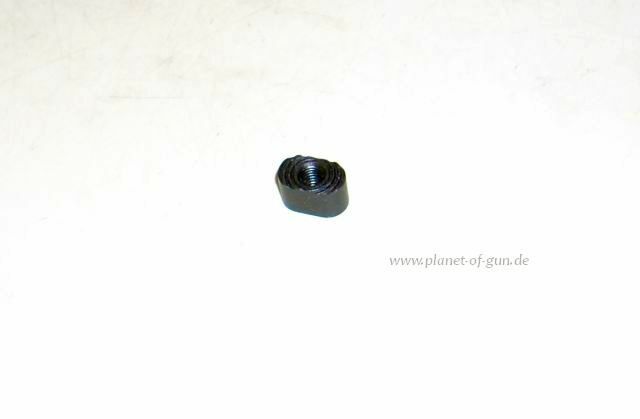 Machined, steel magazine release extends more than half an inch and has an oversized button for quick, positive reloads. 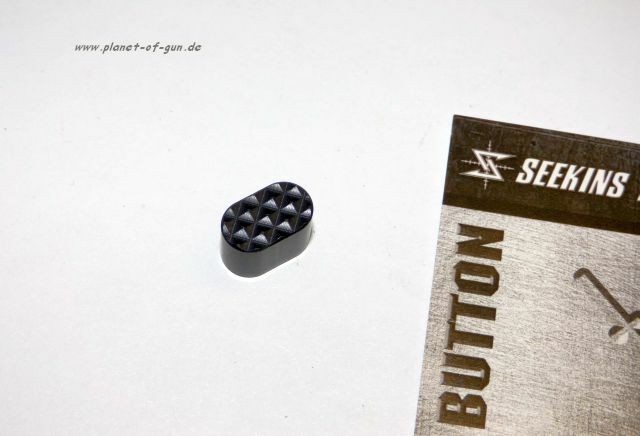 Checkered button helps prevent slips. Installs just like the factory part. 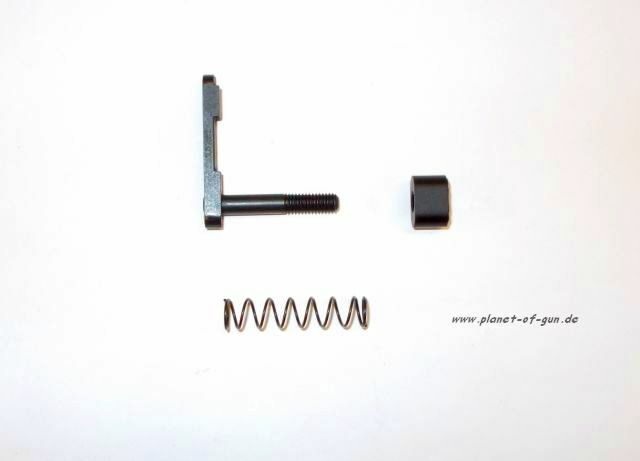 Includes replacement spring. 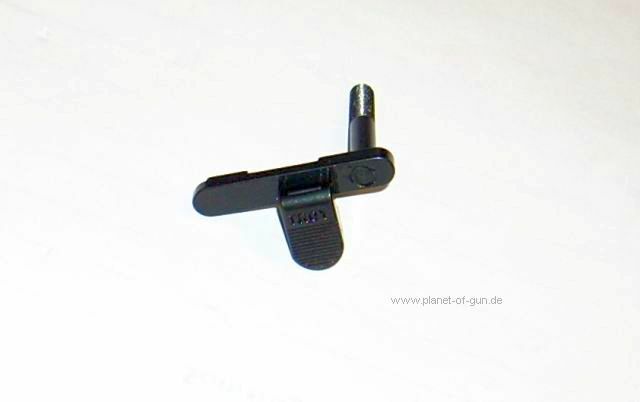 Magazine release tool fits most California “bullet button” mag releases and gives standard mag release function. Intended for use only when you take your California-compliant AR-15 outside of California. Strong magnet holds tool in place. 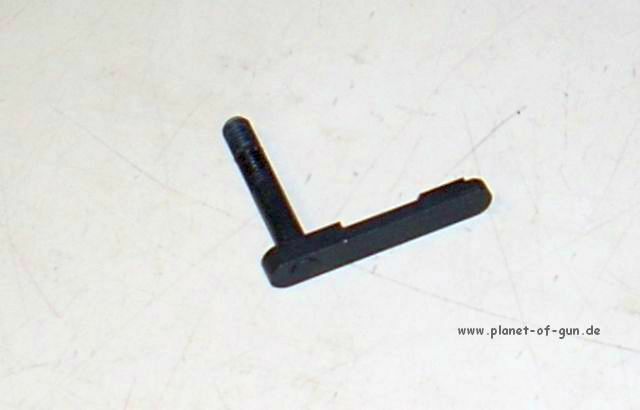 Solid billet construction makes tool rugged and durable. DO NOT USE THIS ITEM IN CALIFORNIA!